For me, attending ICAST (International Convention of Sporting Trades) was a yearly rite of passage. Back in the day, it was called AFTMA (American Fishing Tackle Manufacturers Association) and it was the place to see new stuff, reconnect with old friends and get a feeling of just where the industry was headed. Not only was it the place where deals were made, but where new companies could make or break their futures. Sadly, it hasn’t been like that for a very long time. Nowadays, most – if not all - of the manufacturers have already sold their goods to the big box merchants before the show even begins. Any deals being done are by the handful of small companies that somehow find the wherewithal to be part of an event shrunk down to the barest of roots. Make no mistake about it, we need this show. The industry needs to come together every year and find its center, especially with economic forces pummeling it from every direction. I get it. What I don’t get is the general wringing of hands among industry people. It’s as if they’re hoping for things to get better rather than doing something to make them better. The big players have drastically scaled down the size of their booths and the number of people staffing those booths. In essence, they’ve accepted the fact that ICAST is a public relations necessity. The good news is the show is in Las Vegas (this year July 9-12). At least, the company wags can eat well, catch a show and feel as if they are justifying their expense reports. If you think it’s all good, it isn’t. To me, those who run the ICAST show and support it, don’t seem to be projecting the image of an industry on the brink. They appear to be whistling past the graveyard, hoping the bogeyman doesn’t reach out and grab them. This year, I was hoping for better things until I saw the choice of their keynote speaker, the person responsible for urging fishing’s foot soldiers forward into battle. If it was the ghost of William Wallace astride his steed, sword raised, I might have felt differently, but it wasn’t. It’s Johnny Bench. 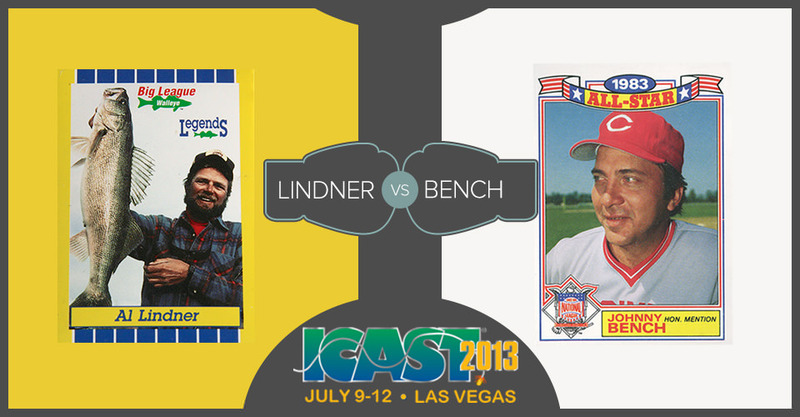 Yeah, that Johnny Bench. Before you Cincinnati diehards start reciting his Hall of Fame resume, may I remind you that he knows nothing about this industry? Sure, if I wanted to build a championship baseball team around someone, Bench would be an excellent choice. Only one problem: We don’t play professional baseball. 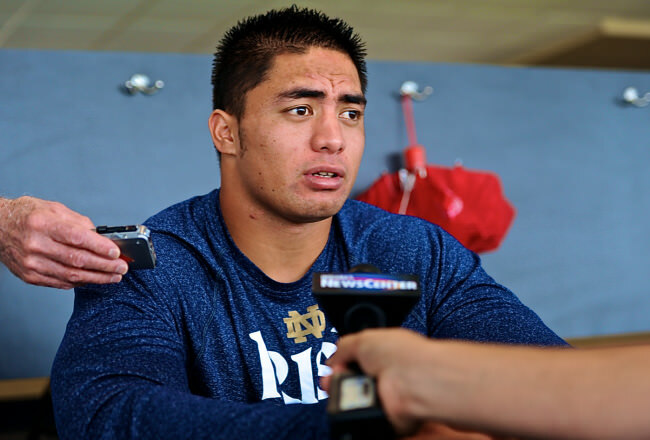 If you think that a motivational speech about teamwork, spiced up with a few nostalgic tidbits, will make a difference, why not invite Manti Te’o? If you’re going to deceive yourself, you might as well listen to the master. The first time I attended one of these shows, I attended the industry breakfast. The speaker was Al Lindner. Although well aware of his fishing exploits, I had never seen him in person. After polishing off a plate of eggs and bacon, I was thoroughly transformed, Linder’s unabashed enthusiasm coursing through my veins like a shot of adrenalin. Here was someone who knew my sport, someone who cared. It was, in short, uplifting in the most positive of ways. Sorry, Mr. Bench, you’re not in his league. Yes, the CEOs will get their autographs and photo-ops with the heart of the Big Red Machine, but the national past time, which is fishing, will suffer. If you write this off as merely a high-profile choice to get attention, I think you are wrong. It is the canary in the mineshaft, the dead canary. It is a mindless decision that shows how lightly those in our industry view their current predicament. Now is the time to circle the wagons and figure out how to extricate us from this sorry mess. We don’t need the feel-good campaigns promoting fishing as a good way to sit next to your child and talk. Take a kid fishing? Of course. The trick is catching something. Any angler who has made the steps from novice to experienced, who has bought the tackle and maybe scratched up the down payment for a boat, knows exactly what I’m talking about. This is a participatory sport, one that does not find tackle-buying patrons among the ranks of dilettantes. To rebuild our base, the industry must stop wishing it to happen. Just like new anglers, those who sell the gear need to be inspired by someone who understands that catching fish means everything. Otherwise, the next generation will simply shrug their collective shoulders, turn back to their video games and call it a day.